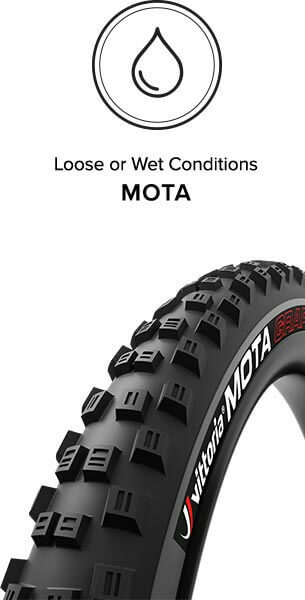 Vittoria’s mountain bike tires are built with the industry’s most advanced compounds. The technologies used in Vittoria’s mountain bike tires are greater than the sum of their parts, but make no mistake, each one of those parts is truly impressive. The star of the show is arguably Vittoria’s proprietary Graphene 2.0 technology, which utilizes a rubber additive derived from graphite to bond the rubber molecules together more closely, resulting in decreased rolling resistance and a dramatically reduced rate of wear. The latest 2.0 version of this category leading technology brings a range of different Graphene-infused rubber compounds to bear, each tailored specifically to the particular balance of grip and longevity required by different disciplines and applications. No less impressive is Vittoria’s exclusive 4C quadruple compound technology. Through the use of advanced custom extrusion equipment, Vittoria is able to build tires with four different rubber compounds in one tread. Each compound is optimized for the specific task at hand, from soft, grippy side knobs, to stiffer supporting rubber at the base of the knobs, which adds a firm, predictable feel otherwise unattainable with the high traction compounds used at the tire’s crown. The upshot is twofold— enhanced traction and predictability, and dramatically improved lifespan with more even wear. 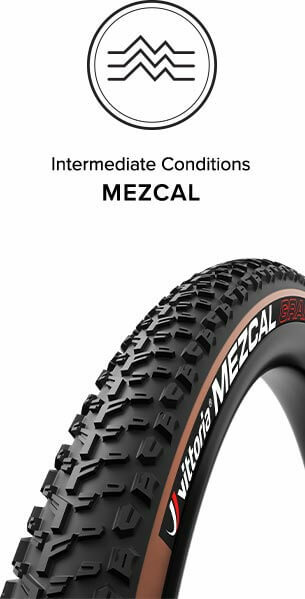 The final piece of the puzzle is a range of tread patterns optimized by intended use, terrain, and conditions, allowing riders across a range of disciplines to experience the most advanced mountain bike tires on earth. All that remains is to experience the difference for yourself. Vittoria’s Cross Country tread patterns are each offered in two different constructions. TLR denotes Vittoria’s lightest weight tubeless optimized construction, which offers a supple ride and dramatic weight advantage once reserved for elite pros lucky enough to have tubulars at their disposal. 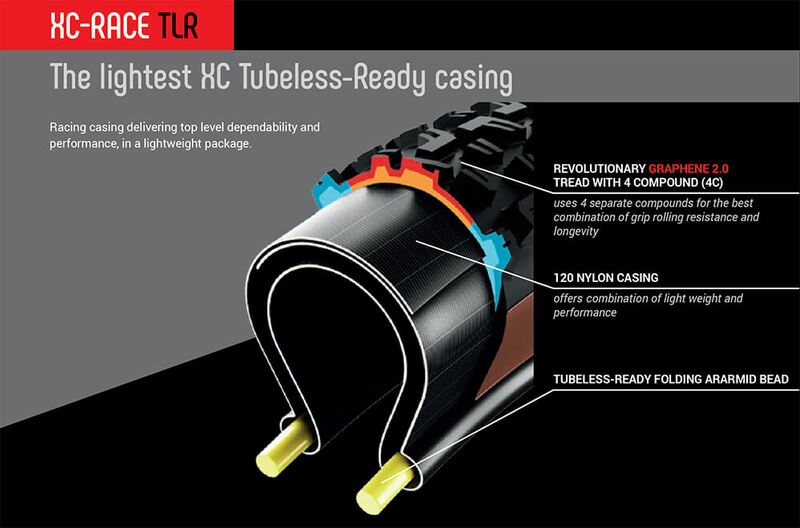 Consider the TLR options to be pinnacle race day tires made available to the masses. The TNT option is compatible with both tubeless and traditional inner tube setups, and offers enhanced durability and cut resistance, as well as Vittoria’s legendary supple ride quality. TNT is a better choice for everyday training and rock strewn race tracks where cut sidewalls and pinch flats are commonplace. And since every tread pattern is available in both constructions, you’ll have no issue choosing the correct tire for your needs. Like the Cross Country options, Vittoria’s Trail and Enduro tread patterns are offered in two different constructions aimed at different applications. 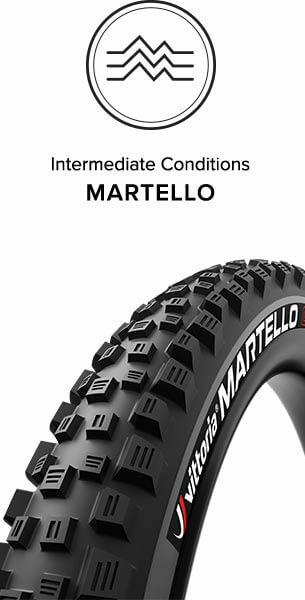 The Trail-focused TNT tires are built on a tire carcass that’s nearly identical to the Cross Country focused TNT options, with the addition of an APF insert at the bottom of the sidewall that adds pinch flat resistance. These will be the better choice for the vast majority of riders. Enduro racers and those who are especially hard on tires will prefer the 2-Ply construction, which uses a second ply of casing material, nearly eliminating pinch flats and cut sidewalls at the cost of a few hundred grams of extra rotational weight. Whichever option suits your needs, you can rest assured that you’ll be riding the most advanced tire available in its respective category.